Barbados destination management companies offer a wide range of services to meet your group, corporate or personal needs. Whether you're planning a Caribbean vacation for a group or combining a business conference with a Caribbean vacation, these local specialists will assist in creating and executing your event plans. Barbados is the ideal location for business conferences and corporate meetings. Local conference facilities are some of the best in the Caribbean and range from large meeting halls for trade shows and conventions to smaller rooms for workshops and group meetings. Hotels and conference centres will provide most of the equipment required and a destination management specialist can assist you in locating support services for your meetings. When the business is over there is all of Barbados to enjoy: beautiful beaches, a variety of watersports, duty free shopping, the scenes and sights of the island, culture and heritage as presented in our dinner theatre shows, and in the exciting and varied nightlife activities. As you can see Barbados provides the right opportunity for a mix of business and a Caribbean vacation. Destination management companies can also arrange your itineraries including transfers, accommodation and sightseeing tours and activities. Your employees will return from a meeting at Accra Beach Hotel & Spa with a lot more than a great tan because we will work with you to plan meetings that will help accomplish your business goals. Whether they are to motivate, instruct, inspire, commemorate, or simply boost morale, this hotel provides the perfect environment to get the job done. What's more, our expert planners will handle every last detail of your meeting, from golf tournaments and ground transportation to innovative theme parties and creative team building events. So consider Accra Beach Hotel & Spa for your next meeting. The results will last long after the tan fades. More about conference and convention facilities in Barbados. Barbados Entertainment Complex welcomes groups to enjoy a full range of fun and team-building activities including Laser Tag, Adventure Rooms, Virtual Reality Missions, Table Tennis and more! Fun Cruises - Sailing the clear blue waters of Barbados can be great fun. Whether you require a luxury yacht for a small private party, a day afloat on a catamaran, or a private ship for a carnival cruise, these are all available in Barbados. Groups can go aboard on a regular cruise or charter the boat for a party of their own. Other watersports such as deep sea fishing and scuba diving are also available. Group Restaurant Facilities - Barbados has a fine selection of restaurants catering to ever taste: French, Italian, Chinese, International and local Bajan cuisine. Several restaurants cater to large groups and your destination management specialist can make the arrangements ahead of time. Group Tournaments - Barbados' wide variety of sports facilities on land and in the water easily facilitate the arrangement of group tournaments. Visitors may also can take advantage of golf, tennis, squash and other facilities for mini tournaments or participate in any of the open tournaments held throughout the year. It is very easy to get married in Barbados as there is no required waiting period or minimum length of stay. All the arrangements for your special day can be made through a destination management company or wedding planner. Turn your Caribbean vacation into a tropical wedding! Let Whirlwind Events plan your perfect, one-of-a-kind wedding celebration! We add personal touches that come straight from the personalities of our brides & grooms to create a magical experience on that special day. Artathomp Events. As well seasoned wedding planners, we understand your wedding day stands among the most important milestones a couple can experience in their life and we cherish the honor and responsibility that comes with it. Local companies can also assist you in arranging special events and functions such as parties and dinners. Located on the water's edge, Apsara Samudra offers a private air-conditioned upstairs dining-room, perfect for small private or corporate events. Let Barbados Entertainment Complex host an unforgettable special event for you complete with private party room, food and beverage, laser tag, adventure rooms, table tennis and more! Conference & Convention Facilities - All about conference and convention facilities in Barbados. 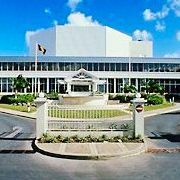 Conferences & Conventions - Check the Barbados events calendar to see what conferences are being held in Barbados. 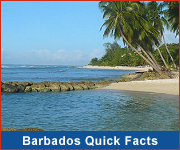 Barbados Business - Information about doing business in Barbados from tax incentives to investment opportunities. Local Businesses - Looking for a Barbados business? 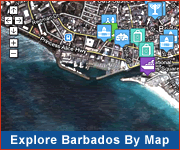 Search the Barbados Business Pages.